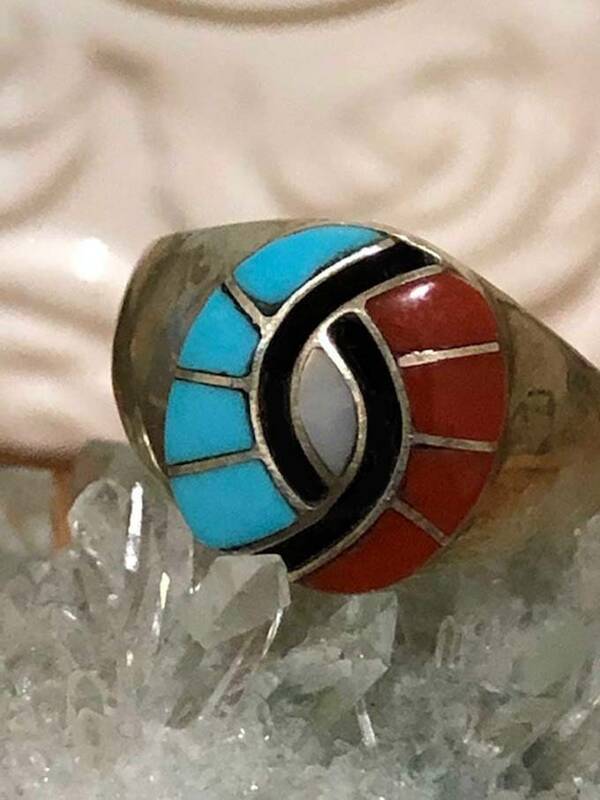 This beautiful treasure is a Zuni ring with Sleeping Beauty turquoise, red coral, and mother of pearl inlaid in sterling silver. The ring is known in Zuni as the hummingbird eye design or as and as a Friendship ring. 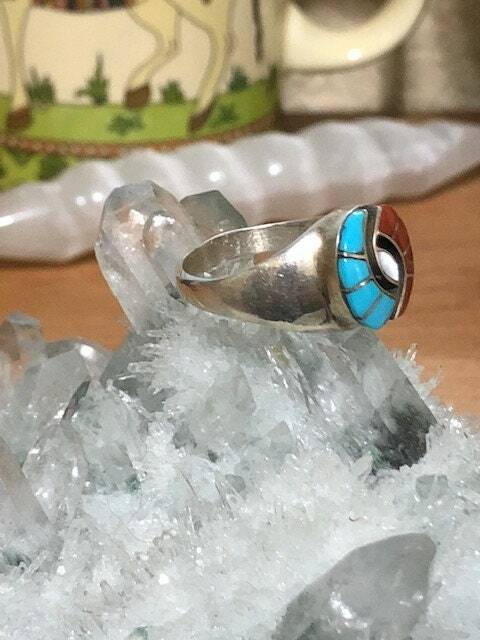 The Zuni ring is accented with an oxidized patina between the inlaid coral and turquoise with mother of pearl to highlight the hummingbird eye design. The turquoise in this ring came from the Sleeping Beauty Mine and is a gorgeous robins egg blue. The red coral is natural Italian Mediterranean coral. This ring is absolutely gorgeous! Amy Quandelacy is known for her use of high quality natural stones in fine channel inlay jewelry and her hummingbird eye designs are sought after. Amy Quandelacy Wesley was born in 1953. Amy is affiliated with the Zuni Tribe. She began this design together with her former husband Dickie Quandelacy. She is renowned for this design and has been making Zuni jewelry for many years. This is a size 10.5. 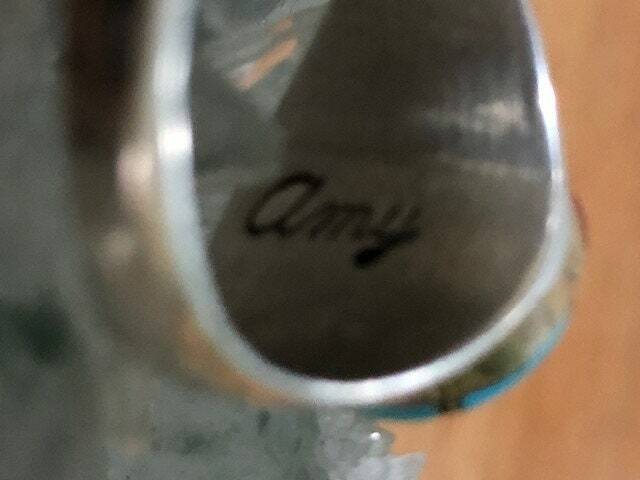 If you wish to resize this ring, a jeweler can do it for around $25. The ring will arrive in a gift box packaged for gifting.